After having reviewed the Aurender S10 a few years back under the then Widealab name, the company, now issued a successor under the Aurender name. All over the world the hifi press already proclaimed the S10 to be a standard-defining music server, so I was very excited to see how the N10 performs. The S10 used a combination of switching and linear power supplies. The linear supply was dedicated to the digital audio board while the switching supply catered to the traditional computer parts. Traditional I name them, because no matter how sophisticated the S10 was built, it still employed a standard PC motherboard. The N10 is different in this way because there is no trace of traditional- or stock components anymore. There is a seemingly iTX-sized board that holds a processor and (passively cooled) heatsink but it only has the connectors required for audio and is branded Aurender. The power supply occupies one third of the housing and is 100% linear. There’s still the combination of SSD-cached playback with HDD storage, but both increased in size. The N10 has two 2TB 2,5 inch HDDs versus one 3,5 inch 2TB drive for the S10 and the SSD storage has increased from 64GB to 240GB. Still a central part of the machine is the dedicated digital audio board with its OCXO clock and complete range of digital outputs. For the N10 the board is completely redesigned, The N10 board however has been redesigned, adapting the same differential signal path design from W20 and the PCB layout of the audio board is also more similar to the W20 than to the older S10. Also, there’s still a clean power Audio Class USB output, driven from elaborately regulated power. 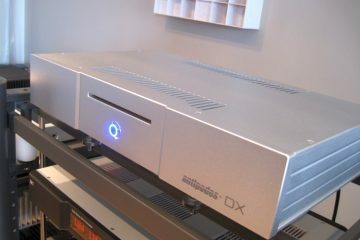 I was especially interested in the N10, because the EC Designs Mosiac T DAC that I have on review only takes a Toslink input. 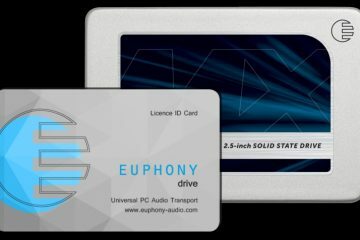 While there are more music servers that offer Toslink, but this is a tricky standard to get right and there are no other servers that I am aware of that have such a high grade output as the Aurender. A friend had already brought along his S10 and from this experiment I know that the Aurender works splendidly with the Mosaic DAC. This, along with its legendary operational comfort made me want to try an Aurender for myself for a little longer. The N10 is not the company’s top model: they also offer the W20. 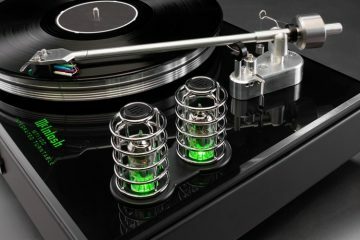 But at 18.900 euro this server is well beyond the reach of all but the most well-heeled audiophiles. I have not heard it, but considering how good the N10 is, I can only imagine that the W20 would be a revelation. Regular readers will know that I have a long history with computer based audio. 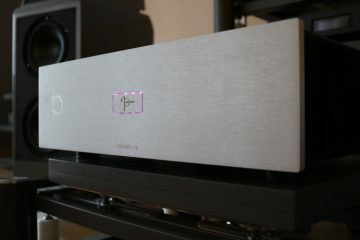 In short, the Aurender S10 and PS Audio PWD kicked off the period where I started to experience computer audio as being more or less the equal of CD replay. 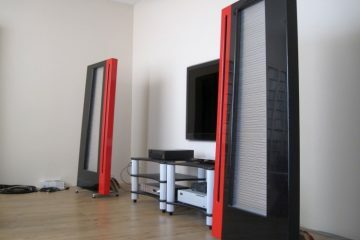 Then came the Meridian Sooloos components and finally the AudioAanZee Ultra Flow and Reference Flow music servers. Halfway through this journey, I had grown unsatisfied with the way my system sounded, and I rotated the speakers and listening sofa 180 degrees and ever since my sound is much fuller and satisfying. 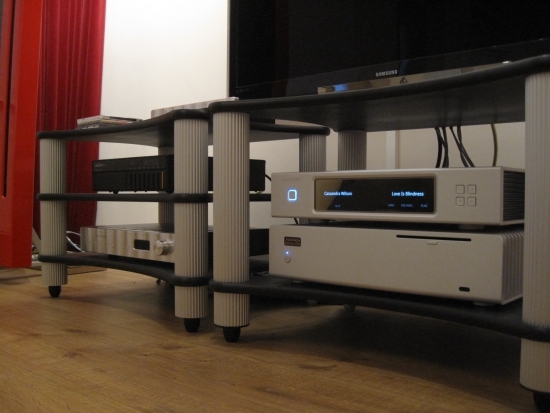 prior to this it was supremely well-resolved but also very critical of source components and cables. It was in the old situation that I reviewed the Aurender S10, and in that situation I was impressed with the server’s operability and un-computer-like sound, but ultimately I found it to be a little too analytical, especially using its digital outputs, and I preferred its USB output. My CD players at that time (Mark Levinson 390S, Marantz CD11 & Meridian 506.24 and 508.24 to name a few) sounded smoother and made for a better balance. At this time I was introduced to the AudioAanZee music servers which, for the first time in my experience, offered similar fluidity and overall smoothness of sound as my beloved CD players. It was the perfect match in that situation. Currently the balance in my setup is such that resolution, imaging and timbre are all excellent, but with a much more forgiving nature. 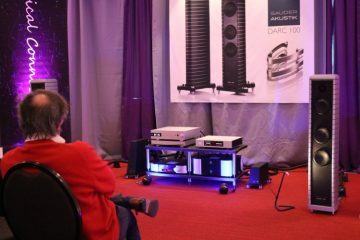 It is in this environment that I heard the Aurender S10 again when my friend Niels brought it along to aid the EC Designs Mosaic T DAC listening tests. With that DAC, it matched extremely well, and there was none of the aforementioned technical quality to the sound, not even when using Toslink. In this context the S10 still sounds precise, but definitely not analytical. Many people will listen in the listening seat only, but when I’m not conducting reviews, I actually tend to walk around a lot. 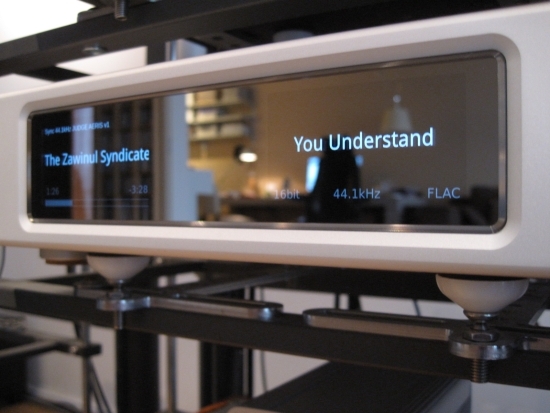 As one of the few music servers the Aurender N10 not only has a display on its front panel but also transport buttons. The former is excellent for quickly glancing what is currently playing on your way passing by and the latter is really handy for quickly skipping a track. Somehow, walking to the unit and pressing “next” is more straightforward for me than walking to the couch where the iPad is. On that note I think the one thing that could make operation entirely perfect would be the addition of IR remote control. At around 40 seconds, the unit is quick to start up and is whisper-quiet. When connecting a DAC via USB, the N10 connects right away, and displays the driver information in the window. Connecting other DACs and switching back also goes smoothly and without any problems. 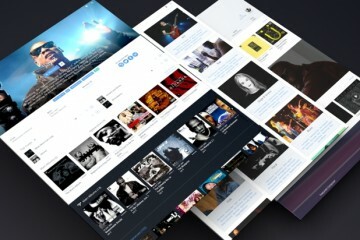 When Aurender first entered the market a few years ago, its iPad app was standard-setting, challenged only by the Meridian Sooloos Core Control app. 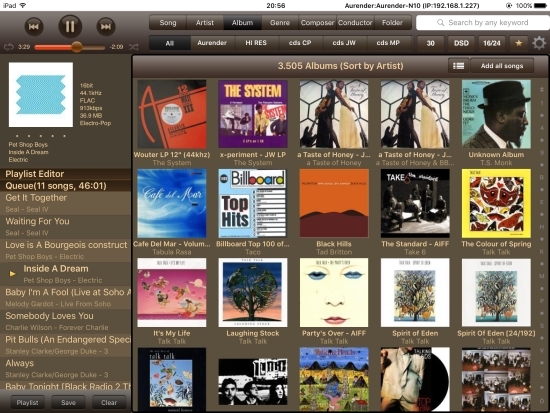 The latter may have had more intricate sorting capabilities, but the Aurender app had the advantage of working with directly accessable music collections, and it had better functionality than any open source app available at the time. Today I still find the app to be very good. It offers all functionality that you might need and more, and is very stable and fast to respond, but it is no longer unchallenged. 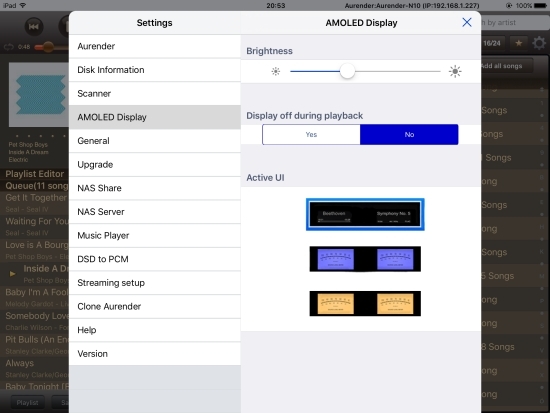 At this moment (December 2015), it still shows old iOS8 popup elements and there is no overall Retina support which results in choppy button edges and pixellated images. One can however choose to enable the “use HD cover” function, which will load high resolution cover art. This leads to nicely sharp “playing now” and album cover images, but artist list view images, as well as some graphical elements, are still pixelated. Do note that there is a new app version on its way which should be available in January 2016. If the app offers significant differences then I will report on them here. There are however many smart elements in the Conductor app that still make it a pleasure to work with. It automatically refreshes its local cache when new music is added to the internal hard disks. When adding tracks to the current playing list and adding them at the end, the list scrolls down briefly to highlight the newly added tracks, then returns to the now playing position. In addition to browsing by embedded ID3 tags or browsing the physical folder structure, the app offers the possibility to combine the two. When in a certain folder, you can still sort by the various tags, and the results will be limited to that particular folder only – very, very handy. There is no support for internet radio, Spotify or Qobuz. The N10 does however support Tidal natively. On Tidal, the unit does not cache to SSD but instead buffers the whole song to RAM. Caching to SSD is considered offline play and for that there are rules to follow. I already have experience with Qobuz on the AudioAanZee Reference Flow and there is a very big leap in performance from Spotify. The same is true for Tidal, perhaps even more so. I have not made a direct comparison between Tidal on both servers, but I am impressed with the sound quality of Tidal in hifi subscription mode (16/44.1 1411 kbps FLAC) on the Aurender. Music sounds dynamically unrestrained and lively, closer to playing locally stored music than I remember Qobuz via iPeng on the Reference Flow to be. It could be that Tidal inherently sounds better than Qobuz, but the RAM caching could certainly also play a big part here. 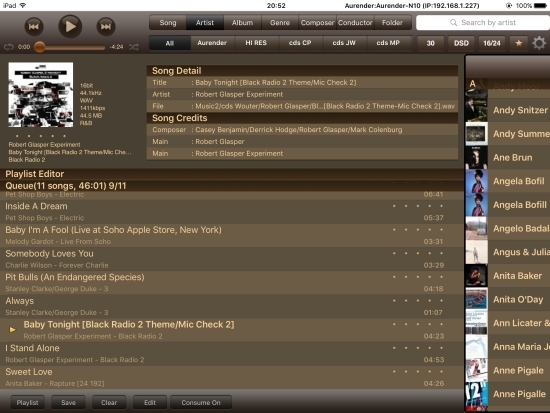 Like with Qobuz, you cannot use the track progress scrubbing bar to search within a track, but Tidal integration with Aurender really is excellent: naturally you can select by song, artist and album, but you can also select music based on Moods and Genres, and there are several automatically updated views. For example there are sections for Discovery, New, Recommended, Rising and Top 20 overviews. Also available is an extra info pane accessible from anywhere by tapping artist or album view from the context menu that shows a biography and an overview of other music by that artist, grouped by Album, EP and Singles. Tidal info such as Artist, Song Title and progress bare are also shown on the AMOLED displays. File format info however is not shown on the app nor on the displays. Instead, the display shows “Tidal Stream”. 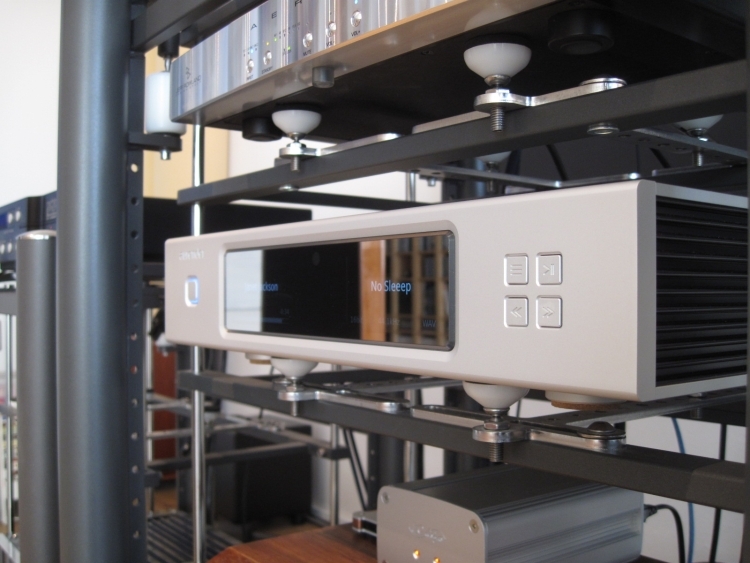 One unique feature of the N10 is its high precision real time DSD to PCM conversion to SPDIF outputs for legacy DACs. This is done by means of a big FPGA inside the N10. Apparently, PC software can do a similar quality conversion but only offline, as most PC’s CPU cannot perform the required complicated calculation in real time. Naturally the N10 can also output DSD directly, but as I have no DACs that can convert this, I haven’t tested this. 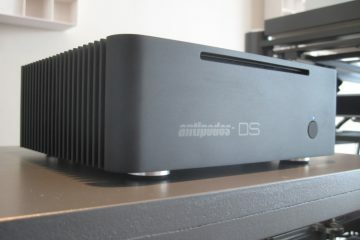 Aurender is capable of playing from a NAS. This has been possible for some time, but thus far the app’s indexing faetures would not be available and selection was only possible using folder browsing. Since a recent update it has become possible to play external collections from NAS in the same way from the iPad app as internal music. To enable this you have to use Windows- or OSX software called AMM to index the collection, after which the database is import to the Aurender, and the iPad app. Also, since the latest update music can be played from a USB hard disk directly using folder browsing and using AMM operation is the same as with local- or NAS based music. Should the unit fail then the app offers a built in support option. By filling in the required fields, an Aurender engineer can log in after your approval and check or repair the system. 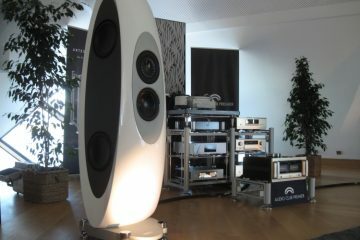 I mentioned above that the Aurender S10 sounds precise, but not analytical. After listening a lot to the N10, I stand by that initial conclusion for the S10, as it goes just as much for the N10. 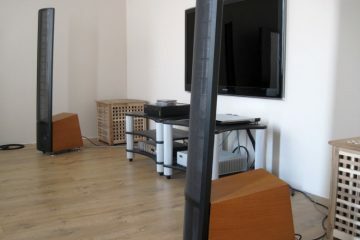 No matter how I connect the N10: coaxial, optical or via USB, the N10 sounds fast, open, airy and utterly transparent. Its sound is also unforced and absolutely without edge or agression, or the slightest hint of clinicality. What the N10 is not however, is romantically coloured. 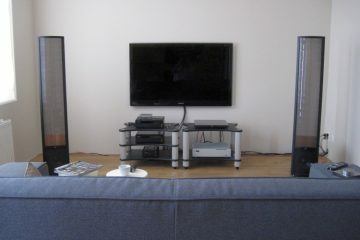 The AudioAanZee Reference Flow music server does sound more relaxed and warmer, and can be more indulging for it. Smooth soulful voices for example can sound extra creamy-rich and ever so seductive. 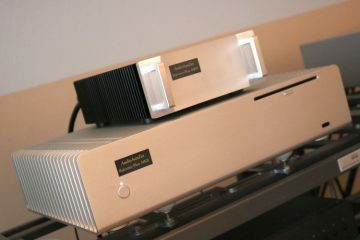 The N10 counters with amazingly natural and expressive midrange in an Accuphase kind of way. It is never in your face, yet there is a highly communicative quality to it that is hard to describe. The N10 is also more upbeat, faster without being hurried. It has superb top to bottom coherence and its definition perhaps is most obvious in upper bass notes. With the N10 it is easy to hear subtle nuances even with low pitched instruments such as bass guitars or bass drums. The N10 also reaches a level of transparency that once heard cannot be stepped away from easily anymore. Importantly regardless of its high resolving power, it never sounds technical in the slightest bit. I have written a lot about the Reference Flow’s ability to sound utterly analog, with unprecedented decays on notes. Importantly, the Aurender N10 is just as capable in this respect, but because it is more neutral and precise, one has to be careful with the matching components. When care has been taken, the N10 combines technical perfection with pure musical communication that makes for an “analog” experience, without any excess softness. If I’d have to use one word to describe the N10 as a musical source, it would be “Pure”. Naturally all is relative to the partnering components, as well as the rest of the setup. 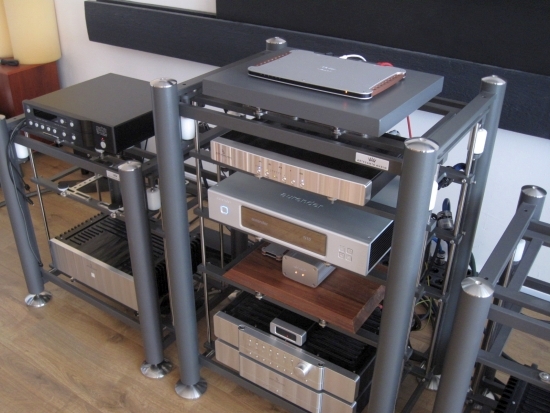 The AudioAanZee Reference Flow for example achieves the best balance the powerful souding Jeff Rowland Aeris, and while the N10 sounds excellent with the Aeria, it tends to sound more magical with the very refined sounding EC Designs Mosaic T DAC. 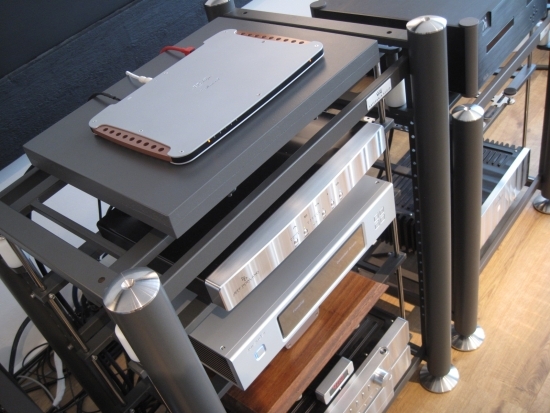 The importance of system matching is made extra clear when using the two servers as a source in the secondary setup with Devialet 120 and Apogee Duettas in a relatively close-monitoring situation. This setup sounds much more direct than the main setup, and indeed in this setup the Aurender N10 can sound a little too thin (with USB). The AudioAanZee Reference Flow by comparison (also with USB) compensates nicely with a fuller, richer tonality and an overall more relaxed sound. In this setup I can also hear that the N10 has better resolution and transparency but because the sound is already so very open and direct, this isn’t missed, and the Reference Flow sounds more musical to me. Sadly I have not listened to the N10 and S1o side by side, but about 1 week apart. For what it’s worth, it seems to me that they sound very similar, and at least have the same key strong points. The Aurender N10 offers every popular digital output: AES, COAX, BNC, TOS and USB. Note that the S10 did not offer BNC. 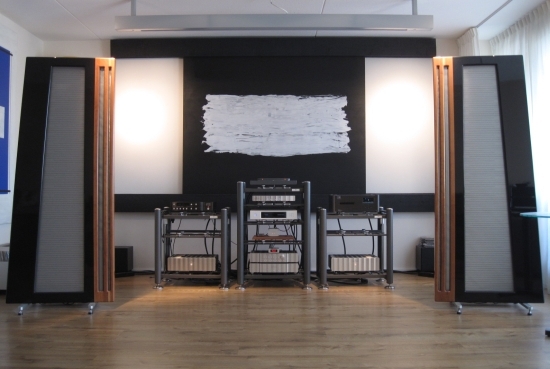 Aurender as a company recommend AES/EBU and while I can understand that from a technical point of view, my personal experience thus far shows that I usually find coax to sound more musical. Even if AES can sound more precise indeed, there has always been a technical quality to it, or at least I perceived it such. Alas, the Aeris does not offer this input so I cannot make new comparisons, but I did compare all the N10’s other outputs. Toslink into the Aeris sounds good, but as soon as I switch to Coax, it is clear that the traditional Toslink downsides apply. The Toslink-only EC Designs DAC clearly does something clever with the signal because it doesn’t portray the same overall woolyness as I hear now. Coax is my default go-to format, and again I am confirmed in my habit as this output sounds very good indeed. Tonality is nicely full, with solid bass and excellent definition. BNC sounds almost the same as Coax, but a little thinner, or more precise if you will. I personally prefer Coax. USB is very interesting because I have so far always favoured that standard over SPDIF. In fact, I have always said that unless there is a separate clock signal SPDIF is evil, and it was with the Aurender S10 that I found USB to sound much better than its Coax output. Go figure. Partnering equipment and system setup really play a big role here, and more likely than not the PS Audio PWD just sounds very different on its USB input than on the SPDIF inputs. In the current context the N10’s Coax output sounds very good, pretty reminiscent of the BNC output but a little tighter. Again one could argue that this output sounds more precise but it could also be explained as sounding less colourful. 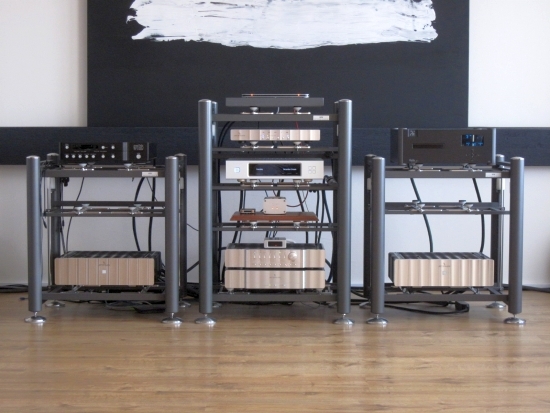 The beauty is that you don’t have to choose: the connections are all there, and provided that your DAC also offers them, you can choose for yourself which sounds best. My opinion? Clearly Aurender made an effort to make all outputs perform the best they can. They all sound very good and are actually relatively similar, with the exception of the Toslink output. 8.900 euro is not pocket money, agreed. And one could ask if a music server really has to cost this much? Well, if you think about it in the most basic terms, it being a specialized computer, one could be tempted to say it shouldn’t. But I can say from experience that achieving excellence from digital files really is not done easily. Building a music server that gives the impression of sounding highly detailed really isn’t that difficult. The trick however is in achieving sound that combines high resolution sound with an analog sense of musicality and present this in a way that is emotionally communicative. The N10 scores heavily here. Add to this an outstandingly sturdy and handsome casing, double OLED displays, a highly refined operating system, the ability to index remote libraries and state of the art remote control, and one can really start to appreciate the N10’s value. The N10’s highly accurate sound makes it important that its companion components be matched carefully. But when the right match is made, the result is stunning and revelatory. I have not yet heard the same perfect balance between technical perfection and emotional communication from digital sourced music in this setup before. 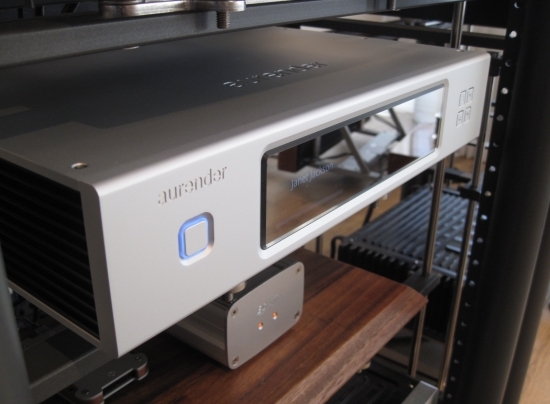 While this is in part attributable to the Mosaic DAC, the Aurender N10 makes it possible for the DAC to really shine. Ultimately, my conclusion is not based on its smart looks or superb operation, but purely on its natural sound and communicative skills. For its coherence, superb low level detail and its ability to combine technical perfection with an utter lack of artificiality or clinicality, I find myself hooked to its musicality and I just cannot let the N10 leave my system anymore. I do indeed consider the N10 to be an industry standard defining music server. It really challenges the AudioAanZee Reference Flow, which admittedly still has some seductive qualities for which it will also remain in my system, which leaves me able to switch between the two best servers I have heard so far. Every now and then there will be an HDD icon flashing in the right hand OLED screen. This is nothing to be alarmed about as it merely indicates HDD activity. Normally the drive will cache all it needs to the SSD and the sign won’t come on again until new music is selected that is not yet cached. The drive(s) will remain spinning for 3 min even though you do not add more songs to the cache, to prevent frequent spin down and spin up. A new Conductor App is in the making. It is expected to be released in January. So if you could give me your advice here it would be awesome! While I haven’t heard the N100, I am fairly certain that it will have a very similar sound as the N10, which means that it is very accurate, tight and neutral. I suspect that your system works better with a more smooth source than a more accurate/clean one. My previous system also used to be that way. The MBP used as a source directly can sound softened, which may be a welcome compensation in your setup. Actually any streaming solution will sound less colourful and rich than a direct connection, so like the Aries, the N100 may not be your best option. I agree that the Aurender looks better, but the Reference Flow’s sound will be a better match. I understand that AudioAanZee are talking with Roon about native integration. Whether this will materialise I do not know. The server does however already work as an endpoint when you enable Squeezebox Support on the Roon setup tab and choose it as a zone. This does require disabling the Reference Flow’s LSM server. There’s info on the net on how to do that, it isn’t too difficult. The Reference Flow’s iPeng app of course isn’t quite the equal of Roon in functionality, but it’s pretty good nevertheless.